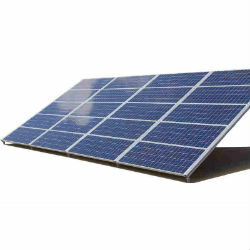 The US solar finance, installation and alternative energy giant, SolarCity, in partnership with the UK’s Zouk Capital and Vulcan Capital have provide the Tanzania-based solar company, Off Grid Electric with USD 16 million to further develop their pre-paid solar power system and grow their customer base from 25,000 to 100,000. According to Xavier Helgesen, CEO and co-founder of Off Grid Electric, his company is a pioneer in micro-solar leasing, which follows the success of the pre-paid mobile market in Africa. To access the pre-paid solar system, customers pay a USD 6 fee for the installation of a self-sustaining solar system with panels, a lithium battery, lights and a meter, which collect and store energy that can be accessed via a passcode when a mobile payment is sent to Off Grid. Off Grid is planning to grow the size of its installation workforce and improve its hardware and software in a move that is geared to prepare for potential global expansion. According to Steve Hall of Vulcan Capital, Off Grid Electric has the potential to deliver electricity to parts of the world that are currently without. “Off Grid Electric has the team, the vision and the technology to deliver distributed power to thousands, and eventually, millions of homes and businesses in parts of the world where grid electricity is non-existent,” he said.